Ryan & Rob move into first, but their taxi gets lost. At the river, Mickey & Pete move past a slow to get started Natalie & Meaghan. 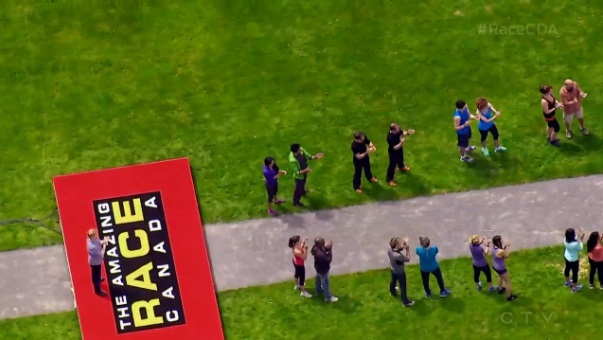 After navigating down the river, teams will run up the banks of the canal to find their next clue by the Centennial Flame on Parliament Hill. 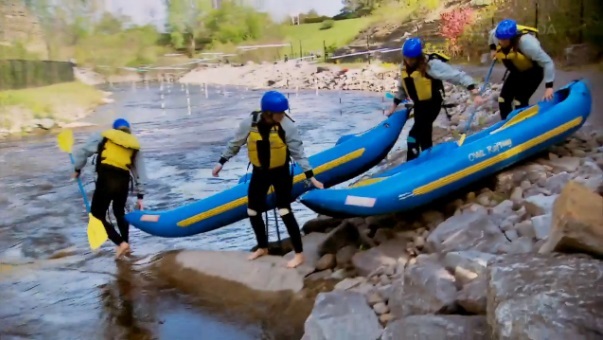 Meaghan is frustrated that they’ve fallen behind thanks to the rafts. Mickey & Pete open the next clue. Teams must enter the historic Parliament building and find the office of Andrew Scheer, Speaker of the House of Commons. Choosing an envelope containing an important date, teams will search the walls filled with volumes of Hansard which contain transcripts of every single debate in the House of Commons. Once they’ve found the significant moment of the date, they will make their way to the Library of Parliament to receive their next clue. 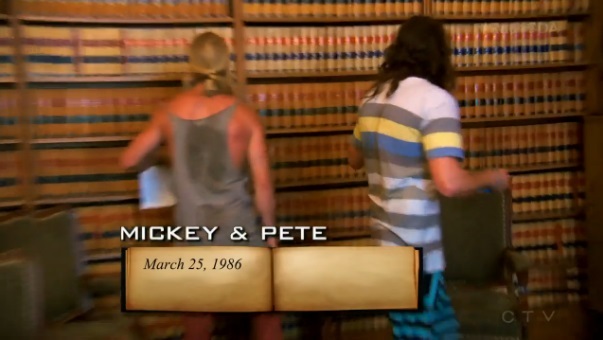 Mickey & Pete’s date is March 25, 1986 and they start searching. Outside, Natalie & Meghan sprint into the building to the cheers of a tour group at the entrance. Mickey & Pete finally find the right book and start looking through as Natalie & Meaghan walk in. But the flustered Olympians miss the box of envelopes on the table and leave to go find the Speaker’s office which they don’t think is here. They go search for a big room and end up at the Library. Natalie & Meaghan return to the office and choose the envelope with March 30, 1949. Mickey & Pete choose one of the 30 debates of their date and decide to go with the issue of the Canadian one dollar coin. They head to the Library and the Librarian says that is correct. She hands them the next clue. Teams must now make their way to the Diefenbunker, a four story, underground bunker built during the Cold War to protect the heads of government from a nuclear attack. 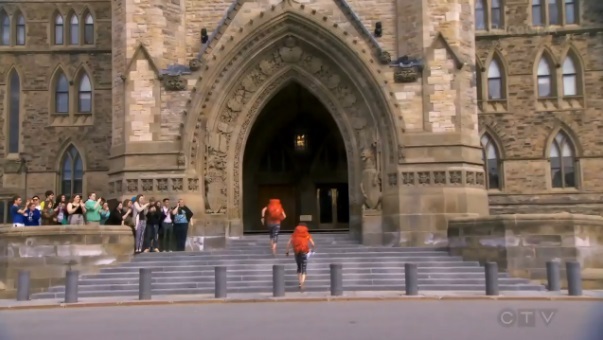 As Ryan & Rob arrive at Parliament, Natalie & Meaghan go to the Librarian with their answer, the adoption of “O Canada” in both English and French. Ryan & Rob’s date is December 15, 1964 and after needing to find an English-language volume, they see it is the day the Canadian Commonwealth flag was adopted. At the Diefenbunker, Mickey & Pete find the next clue, a Road Block. For this Road Block, teams must search through the bunker for three different military miniatures. Once they find three, they’ll receive their next clue. Pete decides to do it and runs in. Meanwhile, Natalie & Meaghan’s taxi is making funny noises, but they ask their driver to just get them to the Diefenbunker. 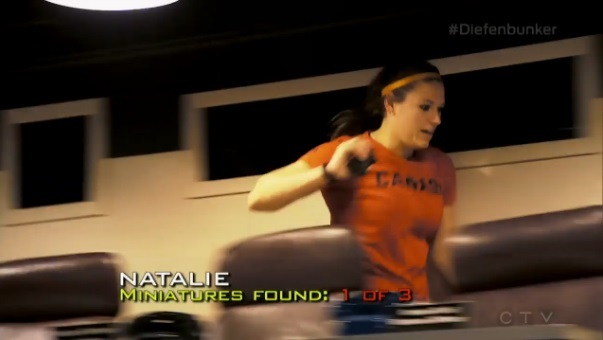 Once there, they decide Natalie will do it, thinking it is a physical Road Block and because of Meaghan’s hand acting up. Running in, Natalie finds one almost immediately with Pete finding his first in the same room. They run into the same room and both miss a compass miniature. They both find their 2nd miniatures, but Pete finds his 3rd one first. He receives the next clue and reunites with Mickey before opening it to reveal the next Road Block. For this Road Block, teams will head to the Canadian Museum of Nature. There, teams will ascend 60 feet up the atrium to grab a dangling clue. They will then climb up and traverse across the ceiling. Ryan & Rob arrive at the Diefenbunker and Rob runs into Natalie in the bunker who can’t find a 3rd miniature. 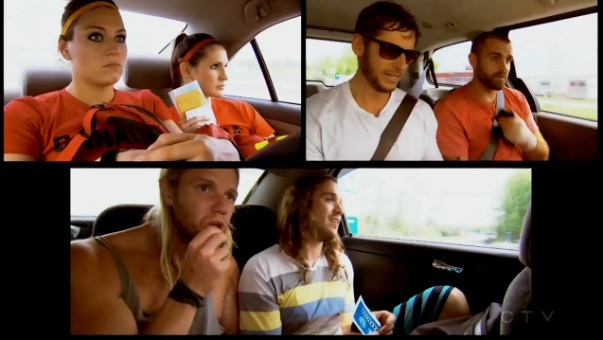 Rob moves quick and finds two, but Natalie finally gets her 3rd and she and Meaghan are off in their new taxi. But Rob is right behind and he and Ryan try to catch up. All three teams are on their way to the Museum. Mickey & Pete arrive and Mickey hurries to the ascender, but it takes a while for him to figure out how. Still, Mickey finishes just as Natalie & Meaghan arrive. Teams must now make their way to the National Gallery of Canada. Meaghan is struggling a little because of her now swollen hand, but find she must use her legs more. She grabs the clue just as Ryan starts to pull himself up. At the National Gallery, Mickey & Pete open the next clue. Teams will put together an art installation called “The Paintings from the Race.” Each Leg is represented by a row of three paintings. Teams must arrange the paintings in the precise order that they occurred. 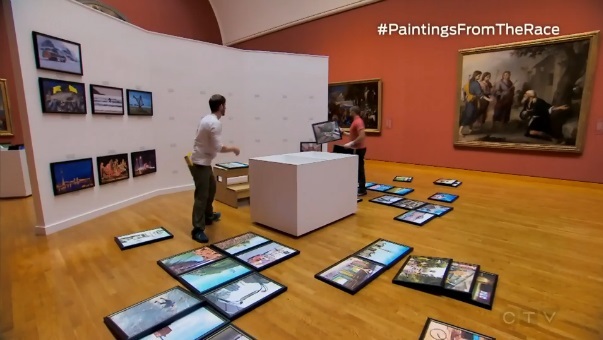 Mickey & Pete get started and find there are some fake paintings. Natalie & Meaghan arrive and work to catch up. 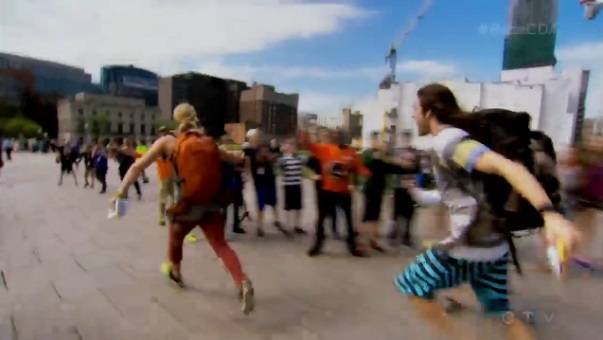 Ryan & Rob arrive and now all three teams are at the final task. Mickey & Pete ask for an inspection, but they’ve got one wrong; their first painting for the Paris Leg. 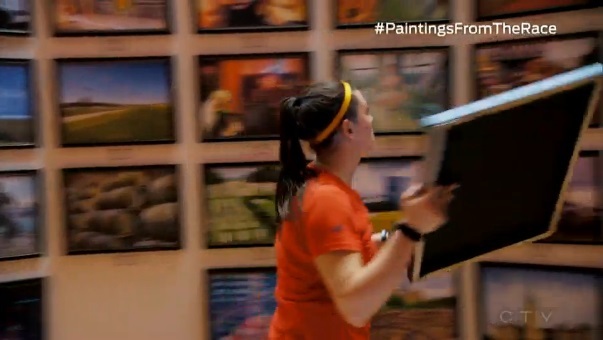 Natalie & Meaghan ask for an inspection and they have two paintings incorrect; one each for Paris and Montreal. They switch out the middle Montreal painting, but still have their first Paris one wrong. Mickey & Pete ask for another inspection, but they’ve switched out their correct Montreal painting for the wrong one. 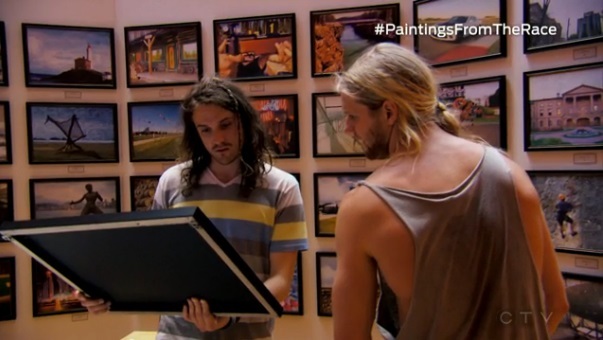 Ryan & Rob ask for an inspection, but they’ve got one Macau painting wrong. Mickey & Pete ask for another inspection and they have finally gotten the thumbs up. 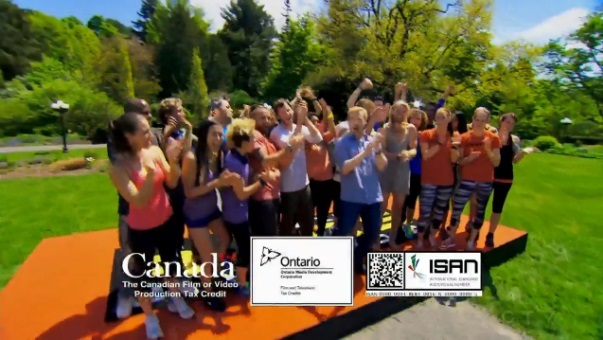 They rip open the final clue telling them to find Jon and the Finish Line at Rideau Hall. Natalie & Meaghan ask for inspection and they get the next clue. 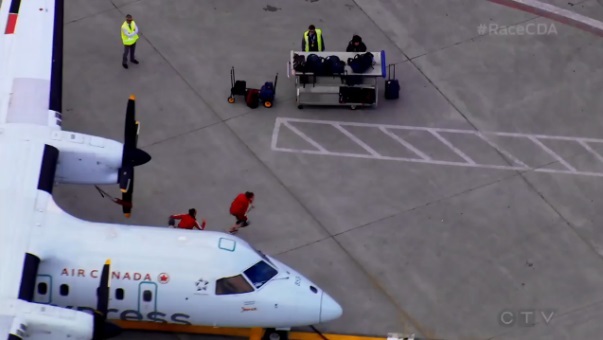 Both teams arrive at Rideau Hall, but it is Mickey & Pete who step on the Mat first. 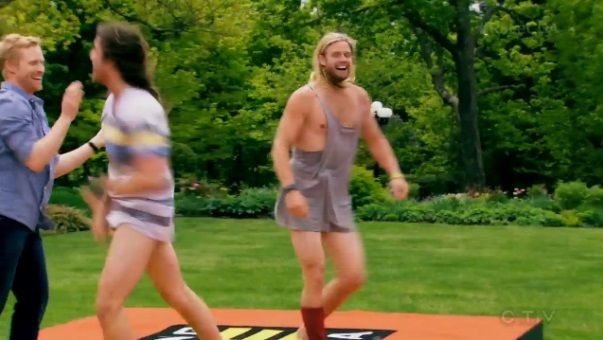 Mickey & Pete take their pants off before Jon officially declares them the winner of The Amazing Race Canada. 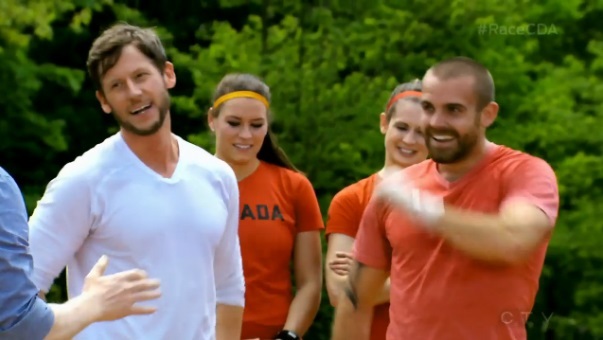 Natalie & Meaghan run in and Jon officially declares them Team #2. They are a little disappointed, but Jon tells them to leave this Race with their heads held high. Ryan & Rob run in and they officially check in as Team #3. I thought this was a pretty solid Final Leg. All the tasks allowed for teams to be able to get ahead or fall behind, as we saw. 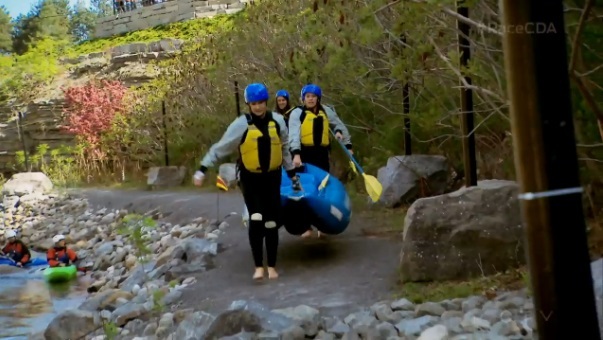 Natalie & Meaghan definitely lost time at the rafting, but Ryan & Rob proved you could definitely catch up. Natalie & Meaghan were just one step behind Mickey & Pete all day as Mickey & Pete built a comfortable lead. Those tourists at Parliament were hilarious! Production must have been so annoyed they got an unplanned audience there. That task at Parliament was a nice little task I thought. It was good to have two Road Block and a Final Task. Isn’t it refreshing to actually have a final task that has teams reflect their time on the Race? Seriously just reminds me of how horrible TAR24’s finale was. WTF was that, seriously? Thank goodness for TAR Canada though. A fine way to end a fine season. 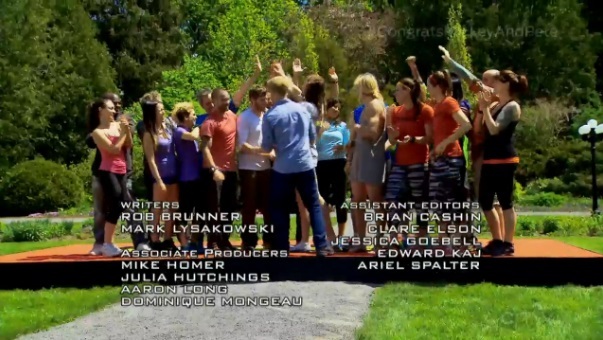 Mickey & Pete were my default choice to win the Race just because I didn’t want Ryan & Rob and I thought an upset of Natalie & Meaghan would be a stunning ending. They ran a very good Leg. They gained a lead and kept it the entire Leg when they could’ve easily lost it. That pants-off thing though. Other than the Macau Road Block, if they were to do those kinds of antics more on the Race instead of the laid back personality they did show, I would absolutely hate them. Thankfully, they didn’t. Natalie & Meaghan have come from behind before and it was absolutely possible they could do it again this Leg, but unfortunately for them it didn’t happen. They still ran a solid final Leg, it just wasn’t enough. I definitely did not want Ryan & Rob to win, but they also ran a pretty solid Leg as well. 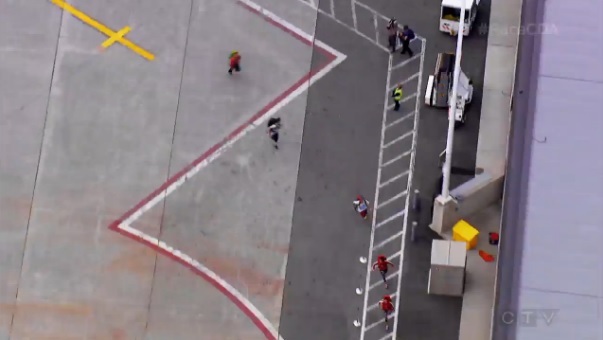 If only they ran the Race like this Leg (and actually got to show their personality more), but that’s for the Wrap-Up.